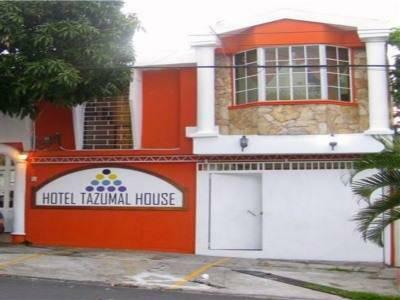 ﻿ Best Price on Hotel Tazumal House in San Salvador + Reviews! Set in gardens, Hotel Tazumal House features a café and modern rooms with free Wi-Fi. It is located in San Salvador’s university district. Each spacious, air-conditioned room at Hotel Tazumal House has modern décor. There is cable TV and a private bathroom. Cafés, bars and restaurants can be found in the streets surrounding the hotel. The center of San Salvador and its old town are just over 1.2 mi from Tazumal House. The city’s airport is a 30-minute drive away.